Thanks to its compact and lightweight design, the C.A 6524 insulation tester is easy to use and offers users great ease of use. The housing corresponds to the measurement category 600 V CAT IV and has the protection class IP54 / IK04. It fits well in the hand, provides optimum safety and the TEST button is easy to use, even with insulated gloves. With the magnetic folding support, the device can be easily mounted on steel surfaces, so the user has both hands free for the measurement and can easily read the result. The large illuminated double digital display and the logarithmic bar graph show the user not only the measured value, but also the actual test voltage, the test current and the timer for the test duration on a secondary display. The remote control probe has a light to illuminate the point of measurement, allowing it to work in dark environments. The new series offers a wide range of test voltages for insulation testing from 10 V to 1 kV. The measurement range for insulation resistors extends up to 200 GOhm and thus exceeds the IEC standard 61557, which requires only 2 GOhms. In addition to the manual test, other test methods are provided, such as the locked test (Lock) or with a specified test duration (timer), as well as the determination of the PI and DAR values ? ?for the evaluation of the insulation quality. The continuity test is carried out in accordance with IEC 61557 standard with a test current of 200 mA, but can be made with only 20 mA in some models, whereby the batteries last longer if used frequently. The continuity test has an active protection circuit that detects existing voltages and shuts down the function, eliminating the need for fuses. 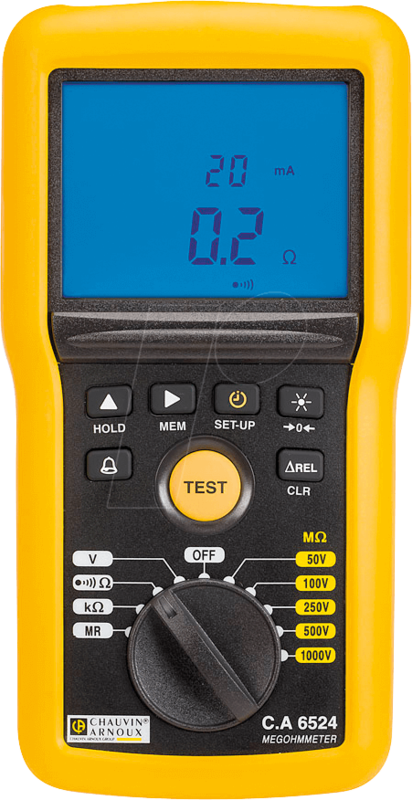 The device also works as a digital multimeter with the measurement of voltages up to 700 V, frequencies up to 800 Hz, resistors up to 999 kOhm and capacities up to 10 µF.